Todd Usher, Founder of Addison Homes, worked eight years at Milliken & Company while renovating houses on the side. Inspired to build his own business, he experienced an “aha” moment while attending an EarthCraft House™ training course: a personal commitment to sustainable principles—complemented by well-defined processes and procedures—could be the keystone of a residential construction firm. 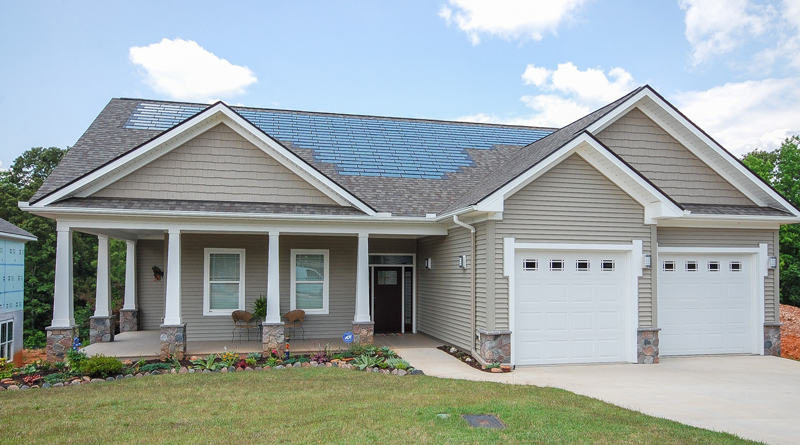 In 2002, Addison Homes became the only Greenville, South Carolina builder to certify 100 percent of its homes to rigorous green performance standards such as DOE Zero Energy Ready Home, ENERGY STAR®, National Green Building Standard™ or LEED® for Homes standards. Addison Homes specializes its builds on lots in upstate South Carolina and can also help buyers find the right property for their needs. The builder individualizes each project to the client’s very specific preferences. The personalized floor plans are all about integrated, open spaces designed for comfort and flow. Every home incorporates trademark traits such as stylish aesthetics, resource efficiency and elements of universal design. The builder’s commitment to sustainable design and construction has been recognized with multiple awards, including U.S. Green Building Council-South Carolina Chapter’s Leadership in Green Building Award, National Association of Home Builders’ Green Advocacy Award, EarthCraft House Regional Builder of the Year and Greenville Home Builders Association Builder of the Year. Addison Homes projects have garnered honors such as the EarthCraft House Gold Project of the Year and Southern Home & Garden Bridge Award for Green Building, just to name a few. Additionally, in 2016, the builder’s Zero Energy Model in Trailside is the first Active House-certified home in the Southeast. A European designation of optimal daylighting, indoor air quality and resource efficiency, Active House promotes healthier, more comfortable lives for homeowners while reducing negative impact on the environment. It’s all about resource-smart building practices that result in energy-efficient homes filled with plenty of natural light and fresh air. Addison Homes’ goal is to be the Greenville S.C. builder of choice for clients who want a healthy, high-performance home without necessarily paying the price. The mission is minimizing environmental impact while maximizing homeowner value. Be sure to read our previously featured Addison project, a community of eco-conscious homes with character. To learn more, visit AddisonHomes.com.